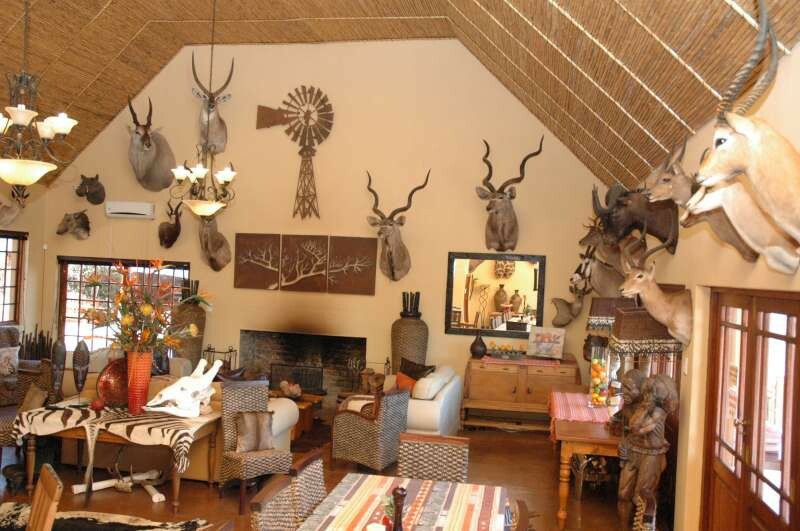 Valley Bushveld Country Lodge is an award winning Luxury Lodge with abundant wildlife, spectacular views, and comfortable accommodation in a safari-style atmosphere. 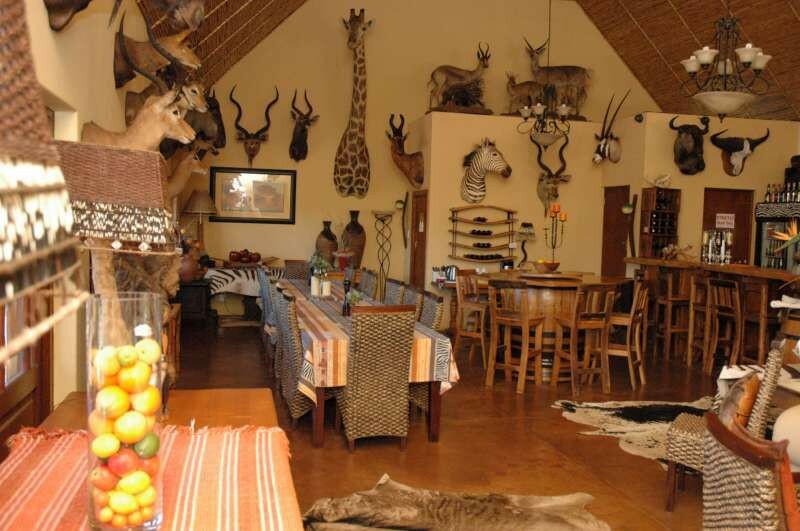 This is the home of the Giraffes and many antelope roaming in close proximity to the lodge. Professional Guided Tours are their specialty and includes Addo Elephant national Park, Cheetah Breeding Project and the Big Five Lion Reserve. VALLEY BUSHVELD COUNTRY LODGE is an owner managed, successful, upmarket four star, safari-style Guest Lodge and bed and breakfast close to Addo Elephant National Park in the Eastern Cape Province of South Africa. The Eastern Cape is called \Naturally South Africa's Best", with a million hectare of malaria-free, big 5 game viewing, fantastic beauty and endless beaches. 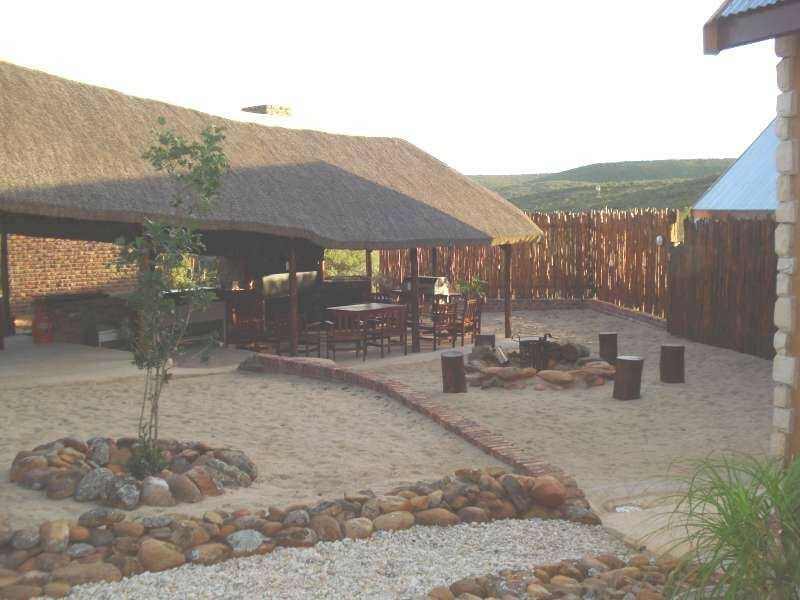 The Lodge is built on the banks of the Coegas River and is situated on a private game reserve which boasts over 17 species of wild game animals and antilope. 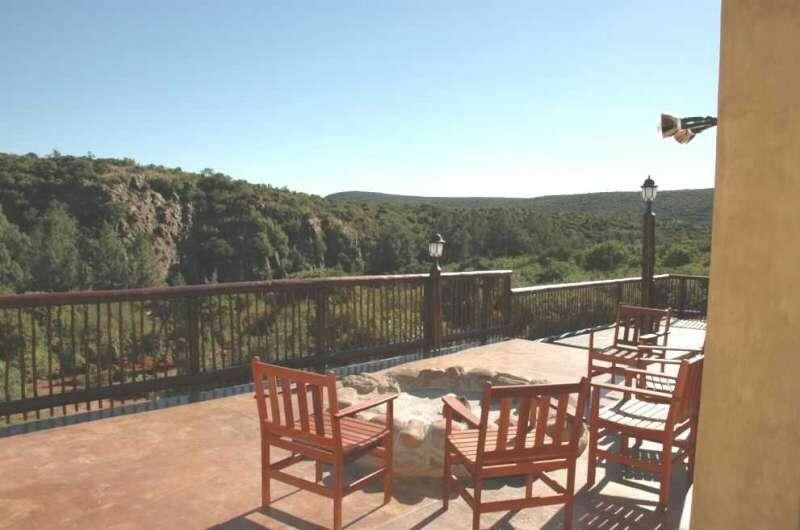 The lodge is nestled just 200 metres off the main R75 en-route to Addo, Kirkwood and Graaff-Reinet. The approximate distance from Port Elizabeth is 52 kilometres passing through the Garden Town of Uitenhage. Our beautiful lodge overlooks the valley and promises you of an exquisite, once in a lifetime scenery and sunsets with wild antelope feeding around the lodge. 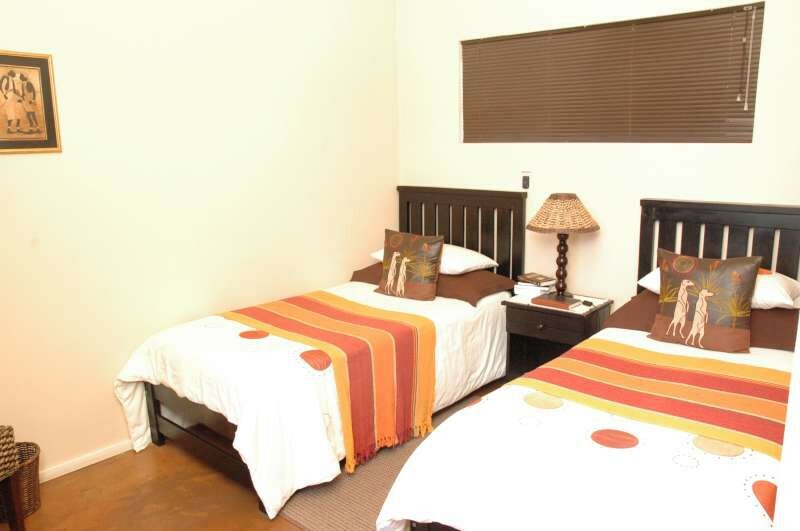 At arrival you are warmly welcomed into this place of special peace and tranquility. In the distance if you should want to explore the valley, you will discover a little river, natural rock face and a natural unharmed environment with its own wildlife. The quietness, breathtaking view, fine dining with traditional cuisine and unique 'story telling', stylishly decorated rooms and en-suite bathrooms, allows you to relax completely. 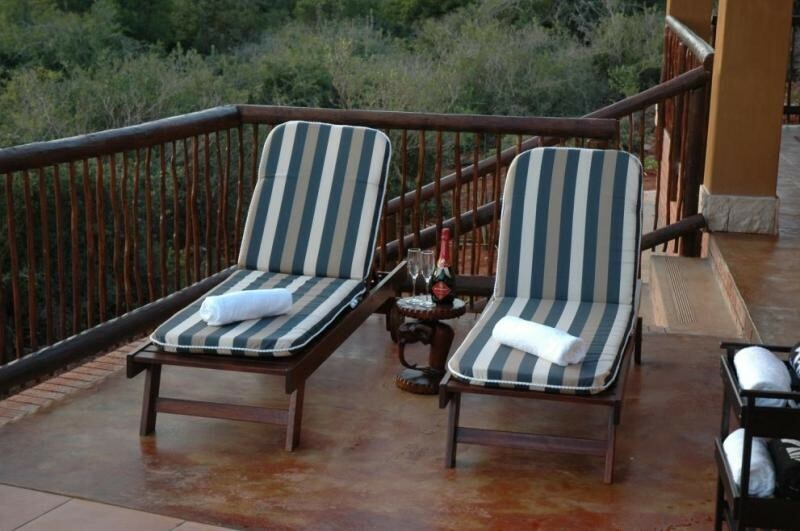 Spoil yourself in the Jacuzzi while sipping on South African champagne and fine wines. 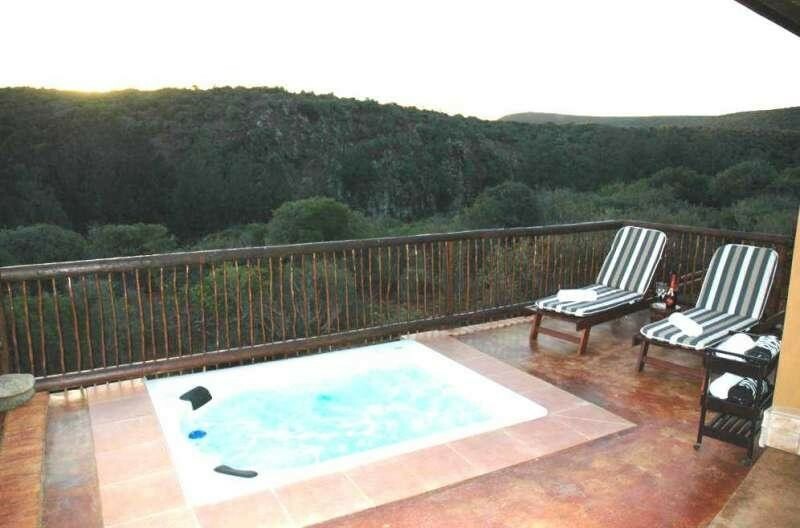 The view from the Jacuzzi is out of this world and you have the chance to spot wild antelope from your seat in the Jacuzzi. You can not beat this experience. Around the lodge you will spot an abundance of wildlife, some 17 species of South African antelope, such as Kudu, Impala, Nyala, Bushbuck, Waterbuck, Duiker, Grysbuck, Springbuck, Warthog, Bush pig, Mongoose, Fox, Porcupine, Jackal, Meerkat, Lynx and primates such as baboon and vervet monkey. A large variety of birds, including bird of prey such as the majestic black eagle and the magnificent flora resembling a natural succulent garden with aloe, euphorbia, spekboom, as well as the protected Cycad and indigenous Strelitzia plants can be found. So, whatever your holiday dreams, we can make it all happen in style even if you only want a weekend breakaway. 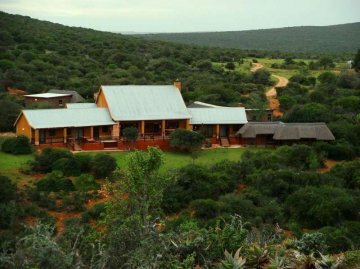 We are in very close proximity from renowned reserves like Addo Elephant National Park, the world famous Shamwari Game Reserve, Cheetah Breeding farm, Elephant Back Safaris and the oldest Private Lion Game Reserve in the area. Our safari tours & options will give you an experience which can not be beaten. We will take you within metres of the Big 5 which include Elephants, Lions, Rhino, Hippo, Buffalo and over 20 species of other antilope. You will have the opportunity to touch and interact with Cheetah's and hold Lion cubs in your arms. This gives you picture opportunities that is truly unique and you can experience all of this with us. An absolute favourite with our guests, is to arrange a 2 or 3 day stay with us and to use our Lodge as a base camp. 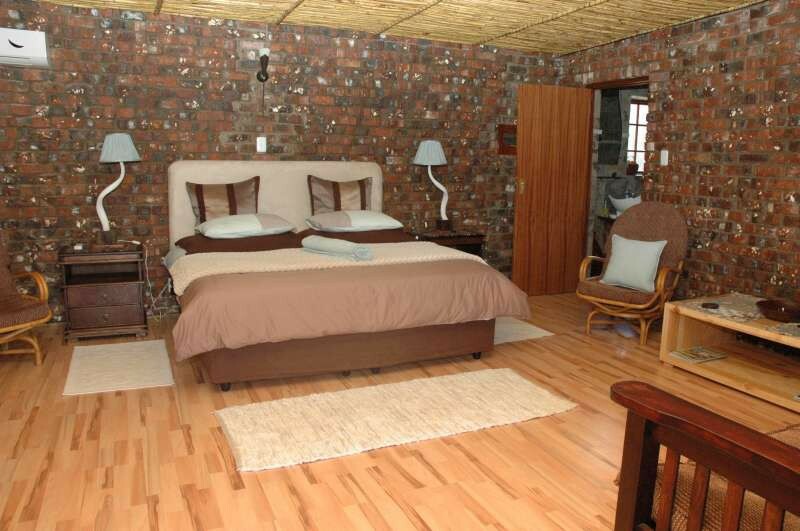 From there we plan day trips to the Addo National Elephant Park or any of the other reserves. A day visit to Jeffreysbay - the surfing paradise of South Africa, is also a big favourite - relaxing on the beach, soaking up the sun - a sunlover's dream! The ultimate of course, is to combine various trips during your stay with us, visiting the Addo National Elephant Park, the Private Lion Game Reserve, Cheetah farm and the Elephant back safari experience. All tours are conducted by experienced tour guides and we offer flexible itineraries. Alternatively you can use a self-drive option for those clients who would prefer to explore the region and game reserves independently and we can assist you in planning your safe routes from our lodge to various game parks and sights. 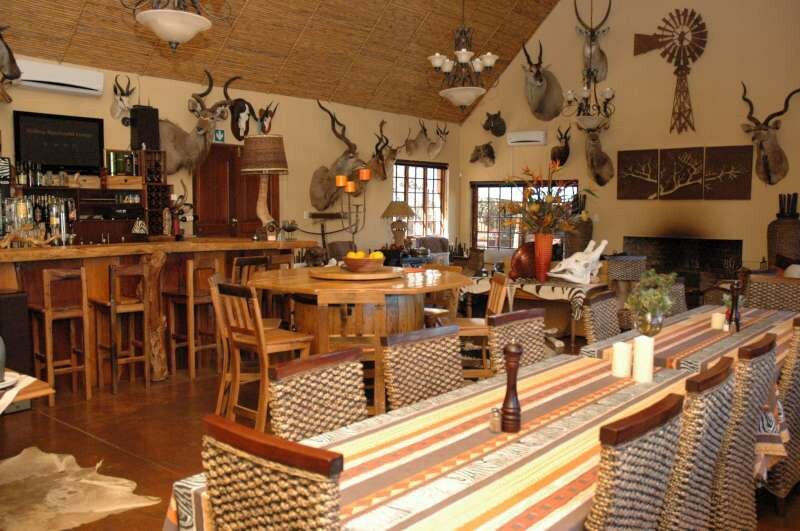 You can use our Country Lodge as base camp from where you can travel each day to various destinations and back to our lodge in the evening and enjoy a scrumptious dinner and share your experiences with your hosts and co-guests. We know the area best so it is useful if we assist you in planning your safe routes. 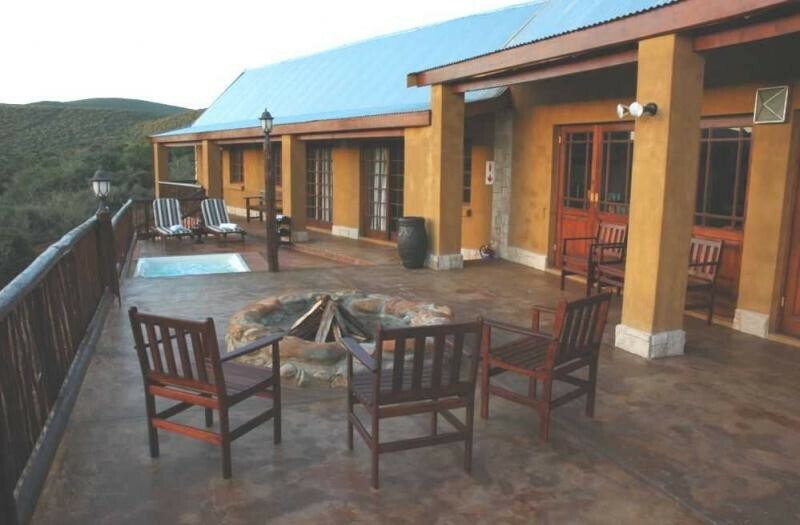 During the cold winter evenings, you will always find a fire going in the huge fireplace where guests can enjoy the story tellings, and in the summer time, a nice South African cold beer out on the patio-deck, rounds off a perfect day. 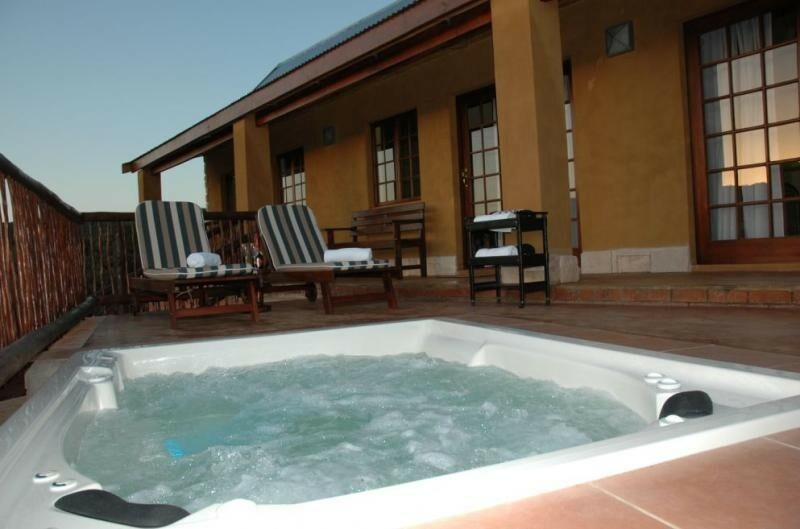 Guests can spoil themselves in the Jacuzzi while sipping on fine South African wines. All this makes it the ideal home away from home. For those guests who would just want to relax, we have the perfect venue for you! Relax on the patio-deck, catch up on some reading and experience true peace and quite. We have great hiking trails where you can explore the surroundings and animal life and view over 17 species of animals which can be found on our own reserve. Our reserve also boasts one of the only areas left where indigenous Strelitzia (birds-of-paradise) plants can be found in South Africa. You can choose between a guided walk or you can do it in your own time. For guests who would like to do something different, we can combine your trip with a photographic safari - our selection of options will compliment your visit to South Africa. We can plan everything for you, from pick up at Port Elizabeth airport to setting up a dream holiday in South Africa for you. Your dream holiday is only a click away! 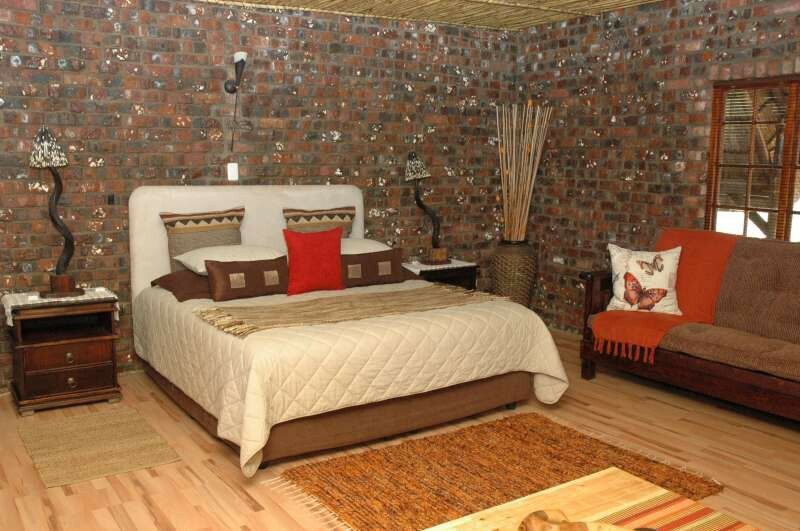 All you need to do to experience all of this is to book your stay with Valley Bushveld Country Lodge. We will do ALL the planning for you. REGRET: We do not accommodate Children under 12 years old.